Centuries before karaoke bars, drinking beer and singing went hand in hand. 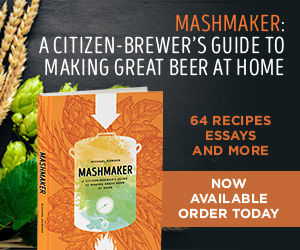 In fact, the first drinking songs date back to as far as the 13th or 14th century in the “Carmina Burana,” a collection of love poems and light-hearted, irreverent verses. Since then, drinking songs have become embedded in different cultures around Europe, and the rest of the world. 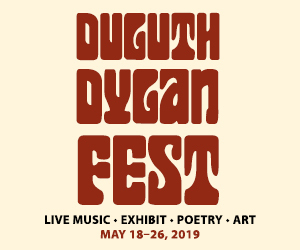 The drinking songs of yore have recently experienced a renaissance in Minnesota thanks to Adam Reinwald and Paul Wilson, co-directors of Beer Choir Twin Cities. 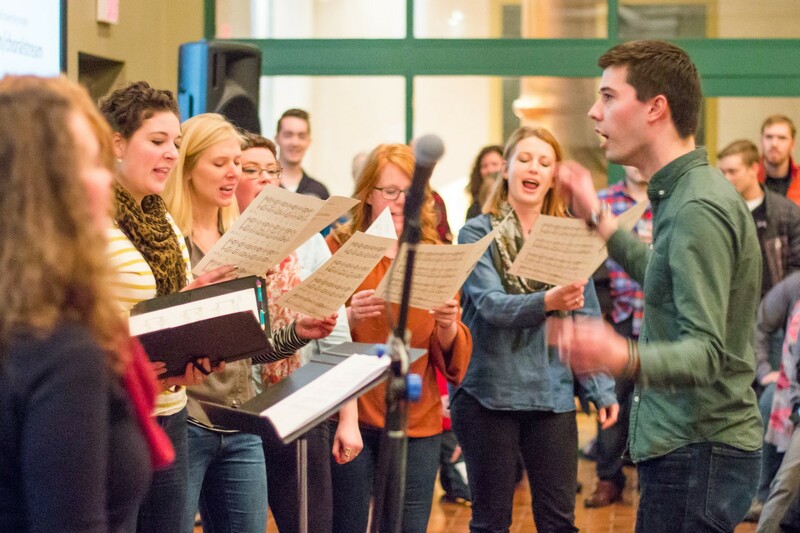 Beer Choir started in 2015 in St. Louis, Missouri, and it has expanded into 17 chapters nationwide. 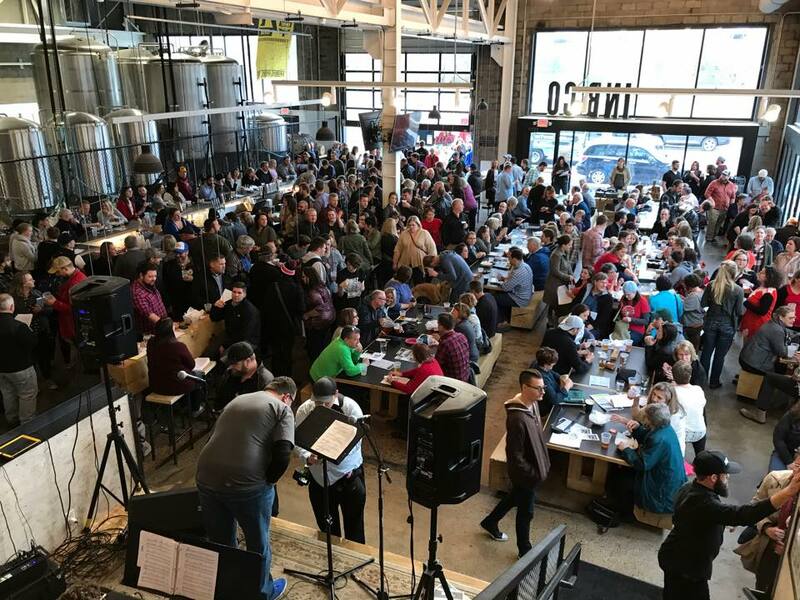 The Twin Cities chapter kicked off in January 2017 at Summit Brewing, and has continued singing sea shanties, hymns, and traditional European drinking songs at Flat Earth Brewing and Inbound BrewCo. “Folks at Beer Choir events are really getting into a handful of tunes from the [Beer Choir] Hymnal,” Reinwald says. 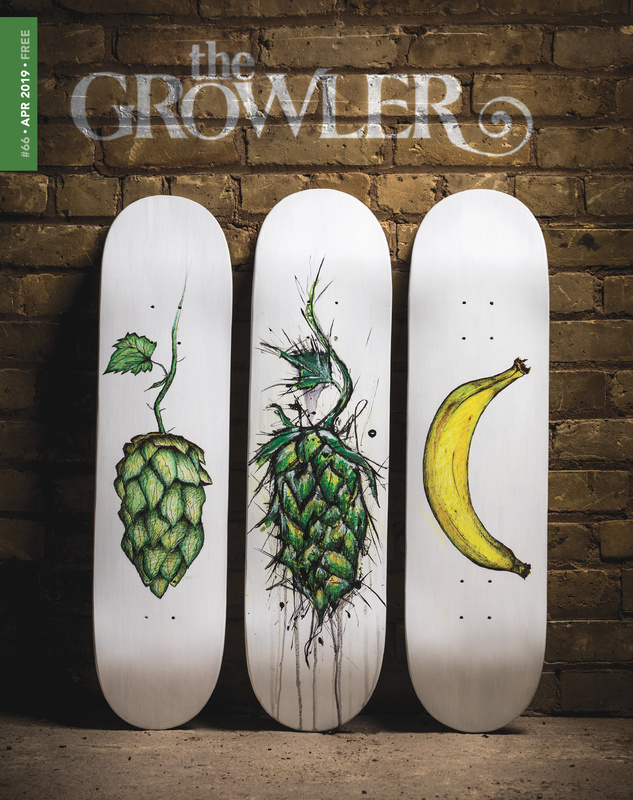 The Growler gathered the stories behind four of these songs, including one exclusive to the Twin Cities chapter. Prospective Beer Choir members should note that the lyrics are hyperbole—not the terms of membership. The song, along with similar tunes “Glorious Beer” and “The Wild Rover,” is simply melodic and fun to sing, according to Reinwald. “People really love the easy and heartwarming English and Irish tunes,” he says. Being German, this traditional children’s tune grew up to become a drinking song. It revolves around a Schnitzelbank, the German word for a carpenter’s carving bench. Using call and response, the leader sings, “Ist das nicht ein Schnitzelbank?” (Isn’t this a carving bench?) The crowd answers, “Ja, das ist ein Schnitzelbank!” (Yes, this is a carving bench.) This pattern then substitutes Schnitzelbank for 16 nonsensical rhymes, asking: Isn’t that a langer Mann (tall man), Tannenbaum (fir tree), Hauffen Mis (manure pile) and Schnickelfritz (unruly boy)? Beer Choir Twin Cities sings “Schnitzelbank” as well as “Ein Prosit Der Gemütlichkeit” in the original German. 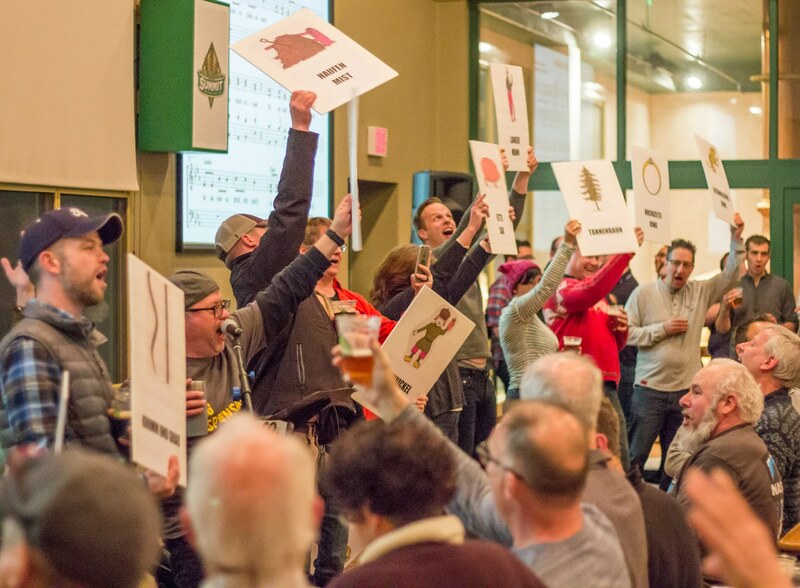 While the melody is easy to follow—practically identical to “Twinkle, Twinkle, Little Star”—the Beer Choir helps Anglophones with the lyrics, having volunteers hold up signs depicting the grosses Glas (big cup), Oxen Blas (oxen bladder), and the other silly, rhyming items. Throughout the years, many lyricists have plied their craft to the solemn music of “Finlandia,” but the version Reinwald leads was written by poet Lloyd Stone in 1934. 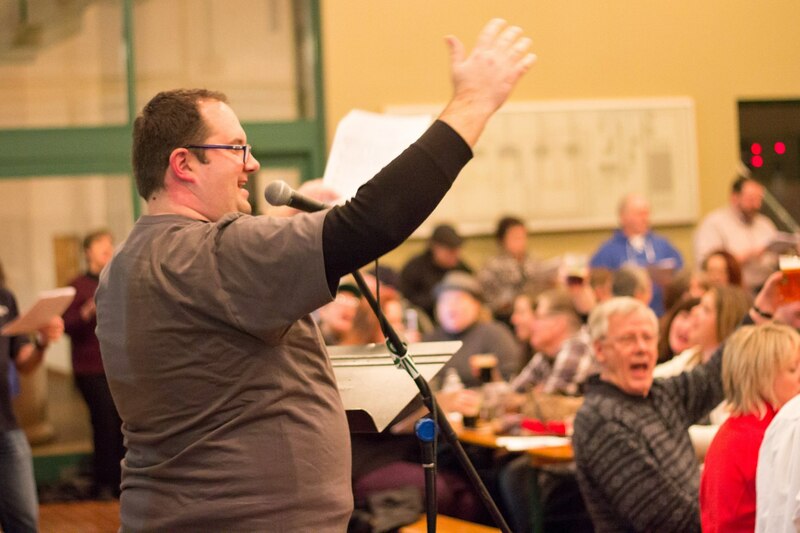 It begins: “This is my song, O God of all the nations, / A song of peace for lands afar and mine.” Beer Choir Twin Cities started singing this song of unity at its first event in January. “It was right after the inauguration, and I think people really responded to the message of unity and seeing the value in people from other lands as equals,” Reinwald says. Beer Choir members enjoy singing rounds as much as they enjoy ordering them, and a perfect song for both types of rounds is Henry Purcell’s “’Tis Women Makes Us Love.” During his short life from 1659 to 1695, Purcell joined the music trade like his father, Westminster Abbey’s master of choristers, and became a well-known baroque composer. Purcell wrote operas and sacred music along with catches, songs in three or four rounds for clubs of English gentlemen. Often featuring bawdy lyrics, catches have a long history, which continues to this day. While lyrics have adapted, the catch club spirit endures. 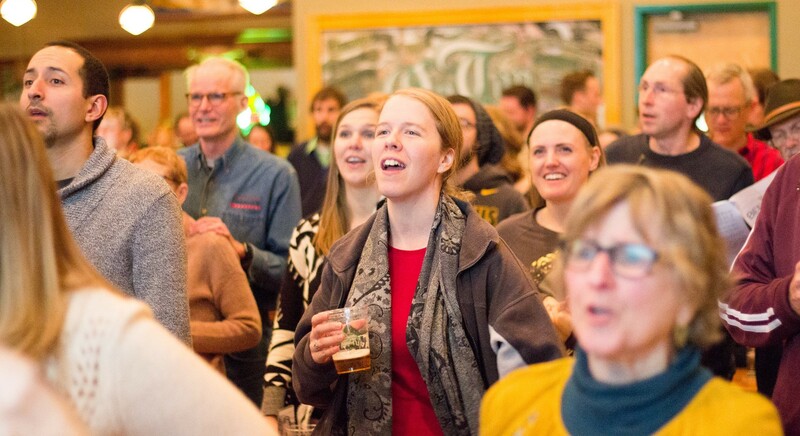 Attendance at Beer Choir Twin Cities events shows that people still like to enjoy others’ company while lifting voices and pints. 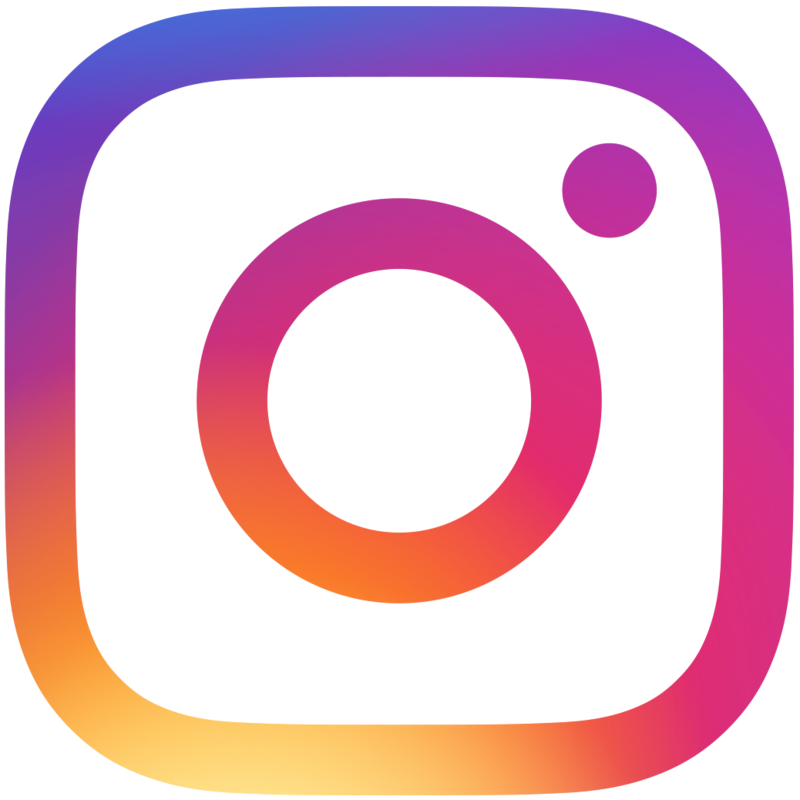 To learn more about Beer Choir Twin Cities and its upcoming events, check out its Facebook page.